An alternative to crude oil, oil sands reserves have only recently been considered to be part of the world’s oil reserves, as higher oil prices and new technology enable them to be extracted and upgraded to usable products. Canada is uniquely positioned to provide an abundance of energy—with 174 billion barrels of oil that can be recovered with today’s technology. Of that number, 169 billion barrels are located in the oil sands. (Source: ERCB and Oil and Gas Journal 2011). JMC Steel Group sees each day as a new opportunity to meet our customers’ needs and exceed their expectations. Our energy division, Energex Tube, is ideally situated to serve both domestic and international oil and gas markets, with offices in Houston, Texas; Calgary, Alberta; and Welland, Ontario. Our high quality ERW Oil Well Tubing, Casing, Macaroni Tubing and Line Pipe is used extensively in various North American markets for the extraction and transmission of oil and natural gas. The Canadian Association of the Petroleum Producers has conducted research indicating Canadians want an objective dialogue on energy, the economy and the environment. We’ve taken this research and summarized the most important figures of the oil sands movement and how it will impact North America over the next 50 years. 1. Recovering oil sands can be done two different ways: mining and drilling; the method depends on how deep the reserves are deposited. 2. With conventional oil supply declining, the need for oil sands will increase. Global demand for energy is expected to increase 40 percent by 2035. 3. In over 30 years, Canadian crude oil production has increased by 1/5 million barrels/day. Over half of Canada’s crude oil production is from the oil sands. 4. New oil sands development is expected to contribute over $2.1 trillion 2010 dollars to the Canadian economy over the next 25 years – about $84 billion per year. 5. Canada is the largest supplier of crude oil and petroleum products to the U.S.
6. Canada has the infrastructure to export crude oil from western Canada to eastern Canada, the U.S. and offshore markets. 7. 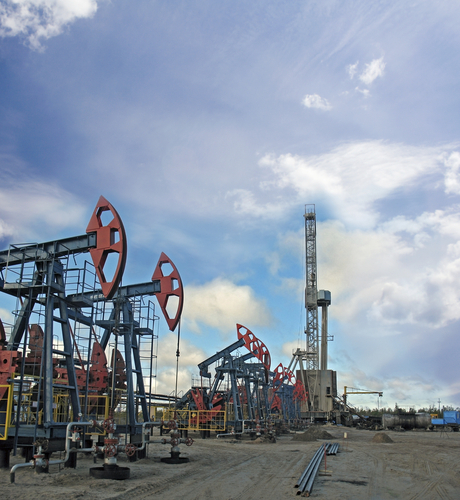 New oil sands investments is expected to grow from 75,000 jobs in 2010 to 905,000 jobs in 2035. 8. As investment and production of the oil sands ramps up in Canada, the demand for U.S. goods and services will increase. 9. The demand for U.S. goods and services will climb between 2011 and 2035: adding an estimated $5.8 billion to U.S. GDP in 2015; $12.9 billion in 2020; $26.6 billion in 2025, and $42.6 billion in 2035. 10. Oil sands producers recycle 80-95% of water used. If your business is energy, we’re here to help you get what you need, when you need it. Energex Tube is one of North America’s most diversified manufacturers of steel oil country tubular goods (OCTG) and line pipe for drilling, exploration, production and transportation of oil, natural gas and other resources. For a more comprehensive review on oil sands to help you get in on the discussion, download the PDF from the Canadian Association of Petroleum Producers.